This desire to communicate with the masses was paired with a battle against injustices such as apartheid in South Africa, nuclear proliferation and stigma surrounding the AIDS epidemic, the latter of which was to claim his life at the age of 31. 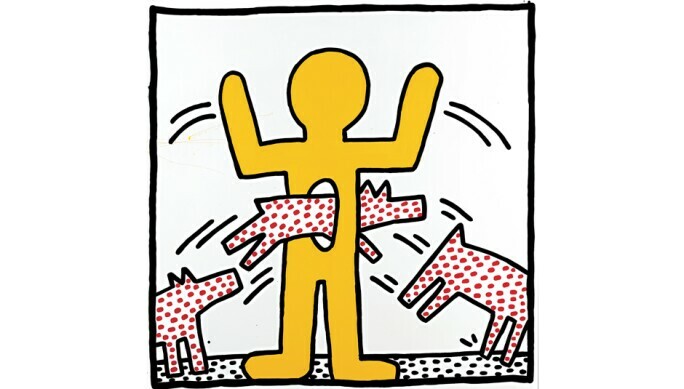 They led Haring to create playful and incisive commentaries populated with instantly recognizable symbols: barking dogs, crawling babies and UFO attacks. To mark what would be Haring’s 60th birthday, an exhibition opening at the Albertina in Vienna on 16 March will delve into the meaning of these symbols and the remarkable impact they have had on society today. 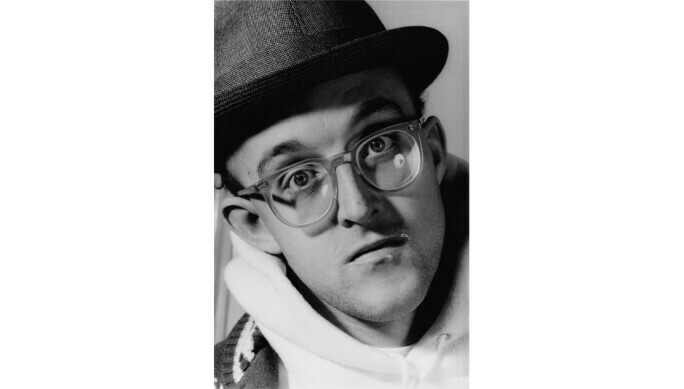 Keith Haring: The Alphabet will feature around 100 of the artist’s drawings, paintings and sculptures, spanning his short but prolific career. 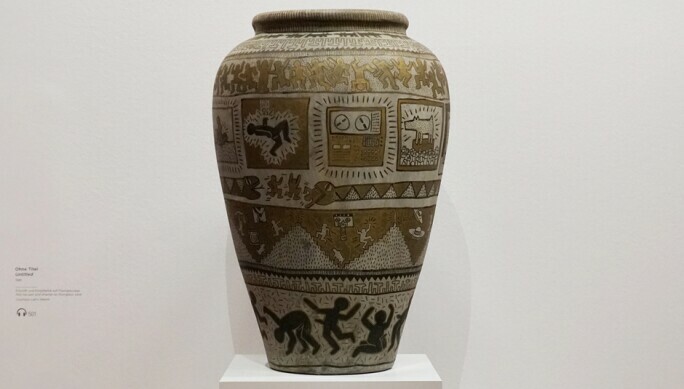 Haring was fascinated with the art of ancient Egypt, which he encountered on regular visits to the Metropolitan Museum in New York, and this is reflected in works such as his vase from 1981 [Untitled]. Black and gold images present recurring political motifs: a radiant baby clambering across a television screen cautiously projects hope for human progress; a deified calf parodies our mass worship of gods and things. “Egyptian hieroglyphs were very inspiring for him; you could say he created his own,” says Buchhart. 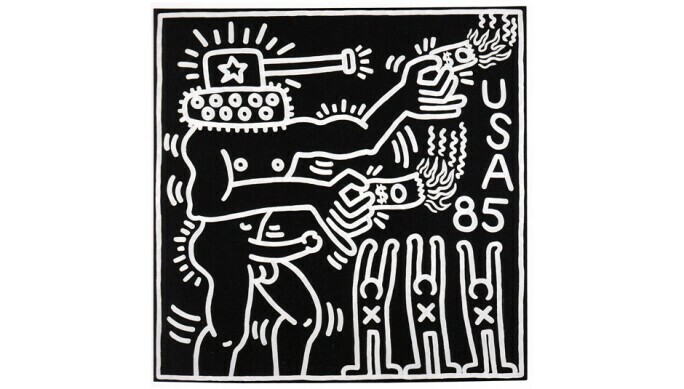 Haring’s Pop-like characters, often painted on tarpaulin, draw on advertising and popular culture. 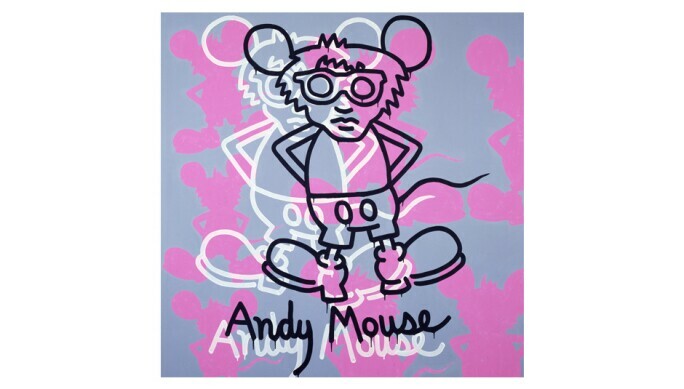 The Andy Mouse series from the mid-1980s, versions of which will be on sale at Sotheby’s on 27 March, merges his good friend Andy Warhol with the Disney cartoons of his childhood. 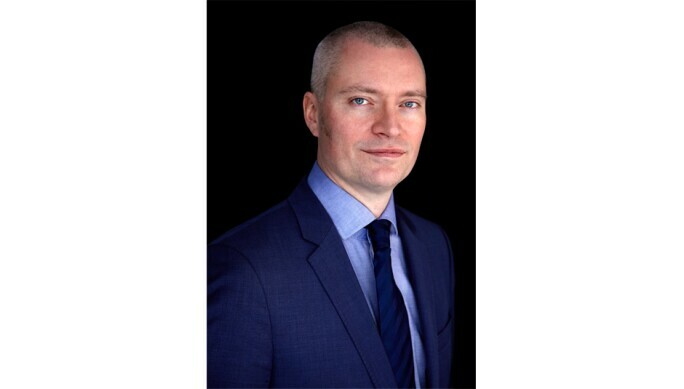 It reflects his “great respect for Warhol” as an artist and businessman, while also standing as a critique of “money, economy, capitalism”, according to Buchhart. Haring’s subway drawings, which he created between 1980 and 1985 using white chalk on the black paper posted over unused advertising space in New York’s underground, underpin the exhibition. Robots dangling humans by their legs warn of the unpredictable nature of technology, while a giant figure held on a leash stamps on his minute master, encouraging us to fight back against oppression. “This was perhaps the biggest project in public space. It’s where he developed his alphabet, and is the forerunner of the intervention art of the 1990s,” says Buchhart. The speed at which Haring had to create these illicit drawings has earned him parallels with one of history’s greatest painters. “You can compare him to Pablo Picasso in the way he did his drawings because he would start and he wouldn’t step back and look. He would just, without a sketch, finish it up,” says Buchhart. The result is a show that seems perfectly fitted for the Albertina, home to one of the world’s largest collections of graphic works. 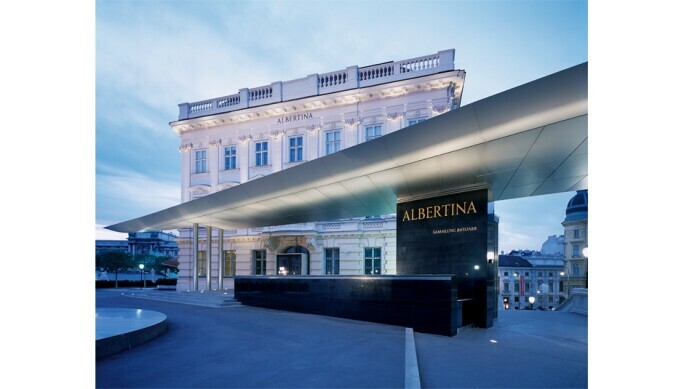 “The Albertina is one of the best museums in the world, and Haring one of the greatest linemakers who ever lived. Every single work is treated as a masterpiece,” says Buchhart.